Donald Trump's team apparently has a plan: anytime someone brings up the myriad of sexual assault allegations against the president-elect, pivot to ISIS. 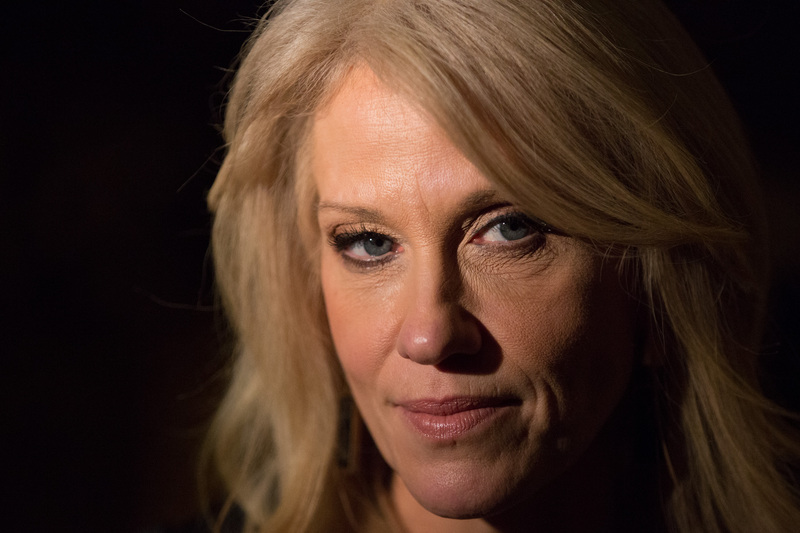 That was Trump's strategy during the second presidential debate, and seemingly taking cues from her boss, former campaign manager Kellyanne Conway reportedly did the same when asked about Trump's comments regarding sexual assault on Wednesday. What's worse, is that the question — how does Conway, as a woman, reconcile her role in Trump's team with his history of sexual assault comments — came from a teenage girl, whom Conway promptly scolded. Trump and his campaign have vehemently denied these allegations, but the question referred to the 2005 leaked Access Hollywood tape. The 17-year-old student, later identified as the daughter of Mother Jones' Washington bureau chief David Corn, asked Conway about these comments from the president-elect during an event sponsored by the University of Virginia’s Center for Politics. The student's Advanced Placement government class was in attendance, too. Women are tired of the same argument and the same thing you are presenting to me right now. I’m glad that people looked at [those attacks] and said, ‘You know what? That’s an argument that will not create a single job in my community, not bring back a single of the 70,000 factories that have been closed, will not deter one member of ISIS from doing their bloodletting here or anywhere else in the world. This tone-deaf response fails in a number of ways. First, it completely dismisses the very legitimate concern regarding Trump's sexual assault comments as mere news fodder, blatantly ignoring both the larger context and intricacies of the question. For instance, it matters that the question came from a 17-year-old female — according to national statistics, 67% of all sexual assaults reported to law enforcement were carried out against people under the age of 18. Likewise, nearly half of female victims were assaulted before the age of 18. The question, clearly, isn't just "trying to make news," but rather it addresses a real problem in that Trump's rhetoric often fuels these types of assaults. And of course, we just have the issue of Conway being Conway — when you can't answer the question, throw in everything, including the kitchen sink. It's why we've seen Trump and the like constantly pivot to discussions of defeating ISIS whenever sexual assault is brought up. It's a jarring pivot, but an easy enough one that the question can be avoided altogether yet again. But as president-elect, Trump and his team (Conway included) owe it to the American people to begin addressing issues as grave as sexual assault in a serious manner. They will just need to stop talking about ISIS long enough to actually do so.